An exceptional example of an early pitch pine bench stool. 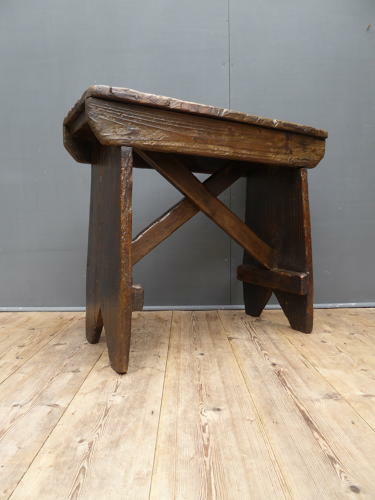 A beautiful, rustic stool in thick pitch pine with single plank top & ends and a highly unusual lower cross stretcher. Showing a beautiful amount of wear & with a fantastic patina, this is one of the nicest stools I've seen for some time! Wear commensurate with age, good solid condition.